5mins to Ballina CBD. 20 mins to Byron Bay. Luxury Ballina beachside accommodation with spectacular ocean views and resort facilities (25 mins south of Byron Bay). Grandview Apartments in Ballina are set amongst lush tropical gardens overlooking beautiful Shelly Beach. The elevated position maximises the beautiful Richmond river and coastal views on one side, and the Pacific ocean on the other. Grandview offer self contained luxury accommodation and resort facilities. Each apartment has an open plan layout with gourmet kitchen and a light and airy feel, perfect for relaxing. Choose from two or three bedroom or deluxe three bedroom penthouse apartments. All are tastefully designed with contemporary finishes. The resort facilities include a swimming pool, spa and gymnasium with friendly managers onsite to ensure an enjoyable and comfortable stay. The coastal township of Ballina is a scenic 25 minutes drive south of Byron Bay along the coast road. The beautiful beaches and waterways offer swimming, surfing, sailing and kayaking along with the water slide, cinemas, shopping centres are a few activities Ballina offers and abundant choice of cafes and restaurants.Grandview apartments are 25 minutes drive to Byron town centre and 8 minutes walk to Shelly Beach. Grandview has two Deluxe 3 bedroom Penthouses with magnificent ocean views, huge deck with BBQ & spacious living area. River Tower Penthouse has 2 Queen beds & 2 single beds. Ocean Tower Penthouse has 1 king bed, 2 king singles (can be zipped together) & 2 standard singles.Each apartment has 2 bathrooms (one with spa bath), full kitchen & laundry. 2 secure car parks, complimentary ADSL 2 broadband, air con, Austar. Handy to all water sports. 10 mins from Ballina Byron Airport, 25 minutes from shopping at Byron Bay. Walk to the beach and stop for breakfast or lunch at Shelly Beach Cafe. This one bedroom Luxury apartment hasone queen bed and a large bathroom with shower over the bath which is a spa bath. Full kitchen, balcony. air con, washing machine and dryer and secure underground parking. Austar TV and complimentary broadband. Enjoy the complex pool and heated spa or walk 100 meters to the surf and coastal walkways. Moderate view with sea peeps. This one bedroom Luxury apartment has one queen bed and a large bathroom with shower over the bath which is a spa bath. Full kitchen, balcony. air con, washing machine and dryer and secure underground parking. Austar TV and complimentary broadband. Enjoy the complex pool and heated spa or walk 100 meters to the surf and coastal walkways. Moderate view with sea peeps. Affordable Luxury 2 bedroom self catering apartments most with ocean views. A choice of 2 queen beds, or 1 queen & 2 singles - subject to availability. 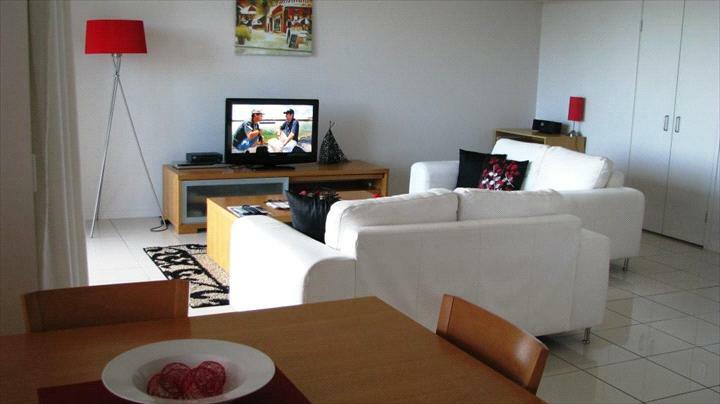 2 bathrooms, full kitchen & laundry facilities, complimentary ADSL 2 broadband, air con. Austar & secure parking. Relax on the balcony or walk to the surf. Rates are for 4 people, rollaway bed $20 per night. Porta cot available for $20. Walk to the beach and breakfast at Shelly Beach Cafe. Great ocean views and handy to all water sports and golf club. 10 minutes from Ballina Byron airport.20 minutes from Byron Bay. Affordable Luxury 3 bedroom self catering apartment with 2 queen beds & 2 single beds. 2 bathrooms, 2 secure car parks. Full kitchen & laundry, air con,balcony & views, Austar, broadband. Pool, gym and spa. Fabulous views of the river mouth, south coast and the lights of Ballina at night. Rates are for 6 people, maximum occupancy is 7. Portacot $20 per night max $50 per week. Rollaway bed available at cost. 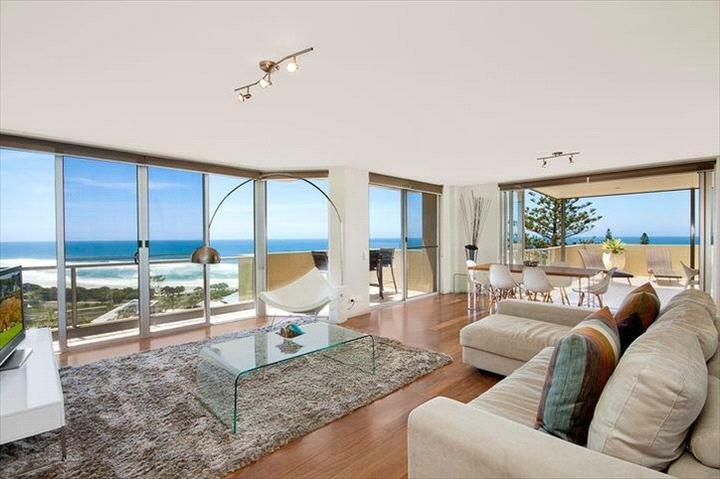 Great ocean & water views, 200 meters to Shelly beach. 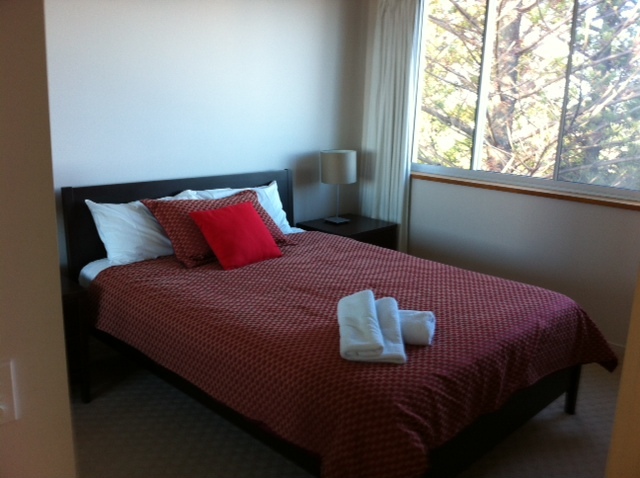 Portacot $20 per night max $50 per week.. Rollaway bed available at cost.